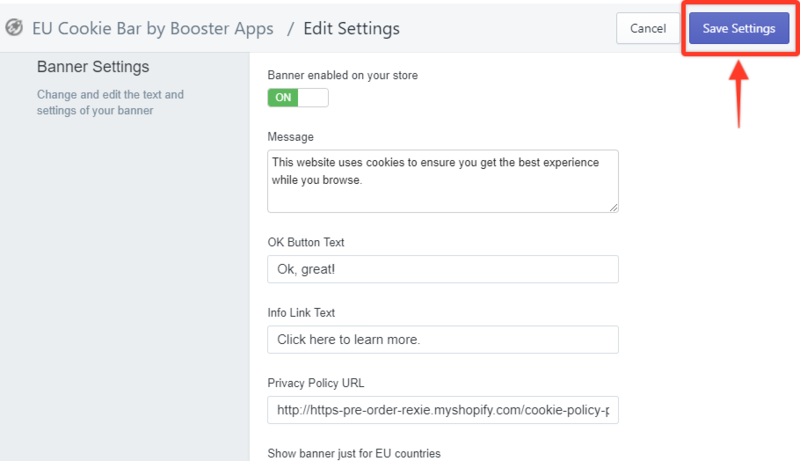 The banner settings on your website can be changed or modified using the EU Cookie Bar app. Follow the steps below to learn how. STEP 1. 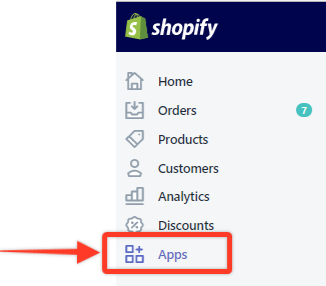 Log in to your Shopify account and then click Apps in the Navigation pane. STEP 2. 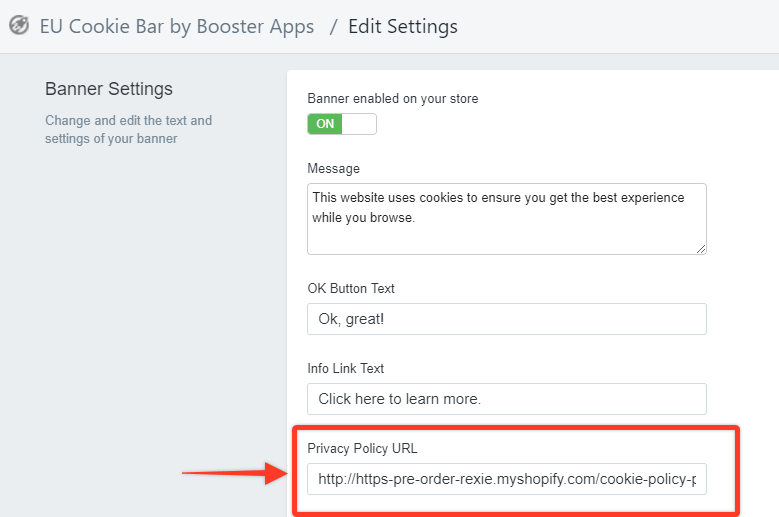 Click the EU Cookie Bar app. STEP 3. 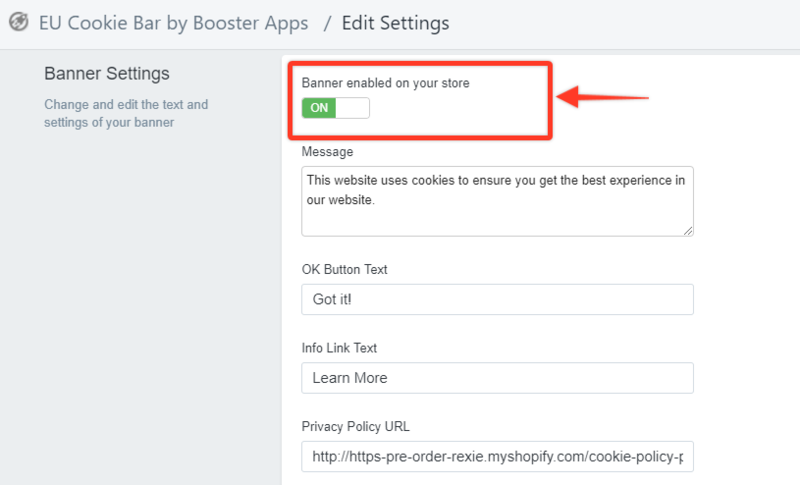 In the Banner Settings section, click the box that says Banner enabled on your store to turn it ON. STEP 5. 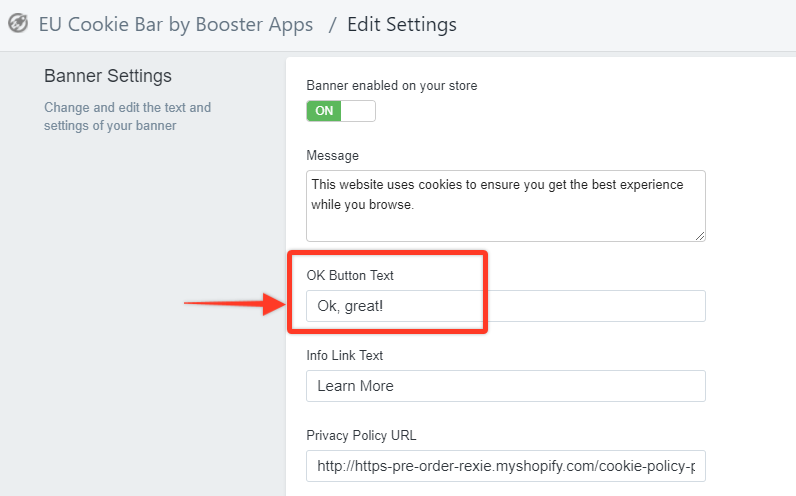 Enter the text that you want to appear in the OK Button Text field. In this example, we use Ok, great! STEP 6. 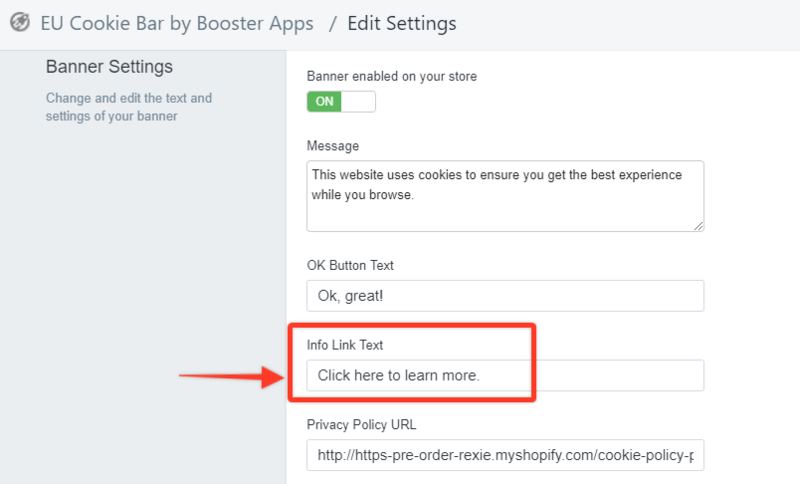 In the Info Link Text field, enter the phrase where customers click on to get more information about a certain topic. 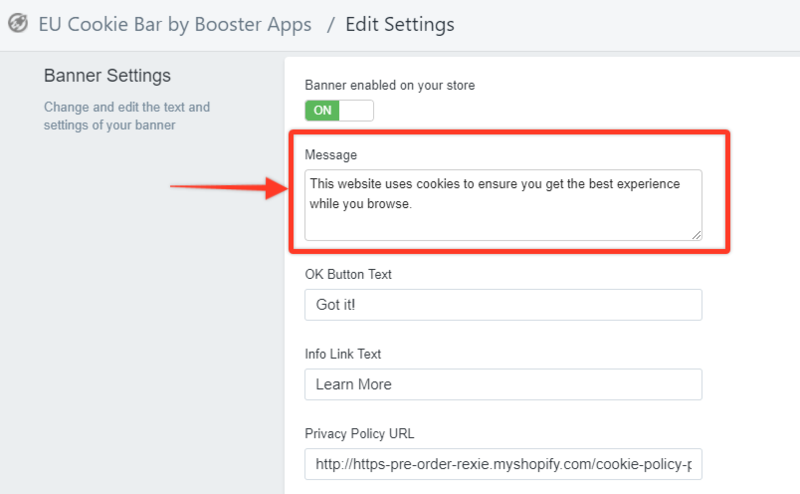 In this example, we use Click here to learn more. STEP 8. 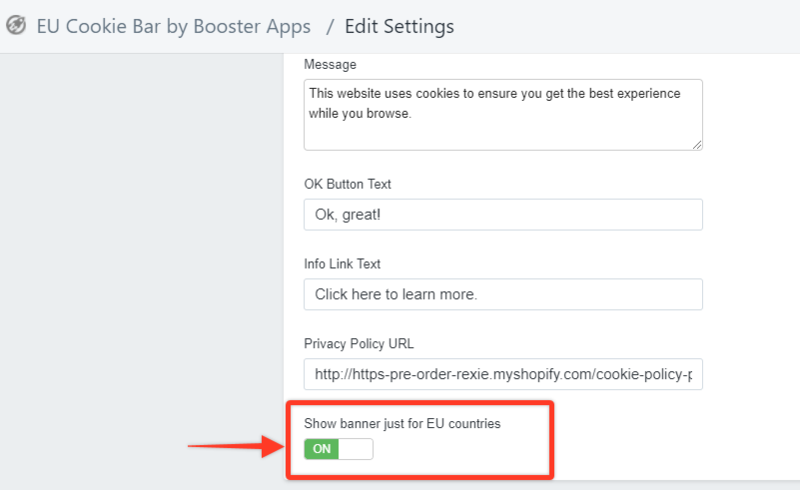 (Optional) If you prefer to have your banner visible only to countries within EU, click the box that says Show banner just for EU countries.